Lucille Crighton’s colourful line of sumptuous jackets, vests and scarves are intricately handwoven using a mixture of exciting yarns. With fibre as her palette, Lucille continues to explore new ideas. Inspired by nature, art, historical and contemporary textiles, she weaves her web in a rainbow of vibrant and complex combinations. 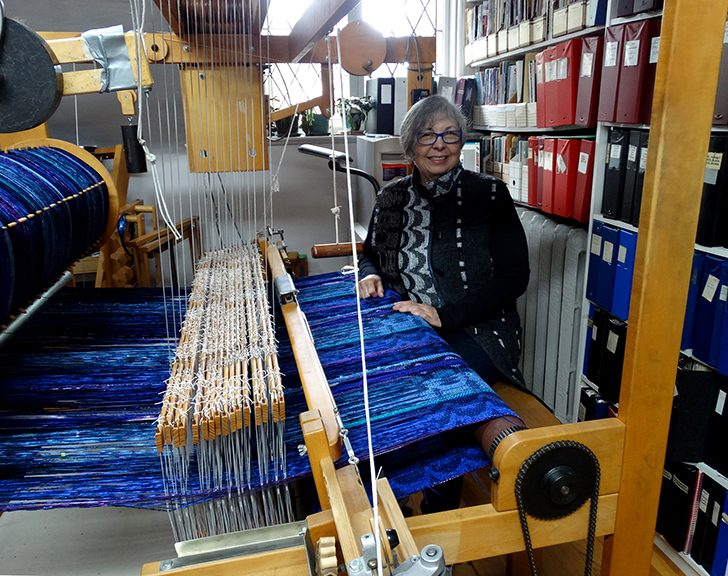 Lucille works from her Toronto studio designing and weaving one-of-a-kind handwoven garments for a private clientele, select crafts shows and galleries. In 2006 Lucille Crighton was inducted into the One of a Kind Show, Hall of Fame. 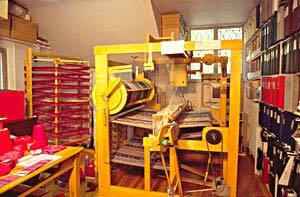 For the 16-shaft warp faced fabrics the colours & textures are designed on a cardboard reeling. The patterns for these fabrics are designed using the computer. 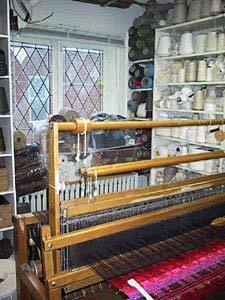 Then the yarn is wound onto the loom and threaded, ready for weaving. The weft-faced fabric is designed on a 4-shaft loom, balancing colour, value, and texture while weaving and using up to 20 different yarns in one jacket. Jacket prices range from $825 to $1200 Canadian.